“Triangulum Mechanism” will see a worldwide release April 1st 2014 in both Physical & Digital formats, this is the bands follow up to their self released “Fight for Andromeda” released in 2011. Sunshine & Bullets will be hosting a very special CD release show & party at the Local 662 in St. Petersburg, Florida on April 1st where the CD will make its debut. The band will be headlining the event with a little help of Anyone’s Guess, From This Fire and Yoshi Gish three popular local bands. 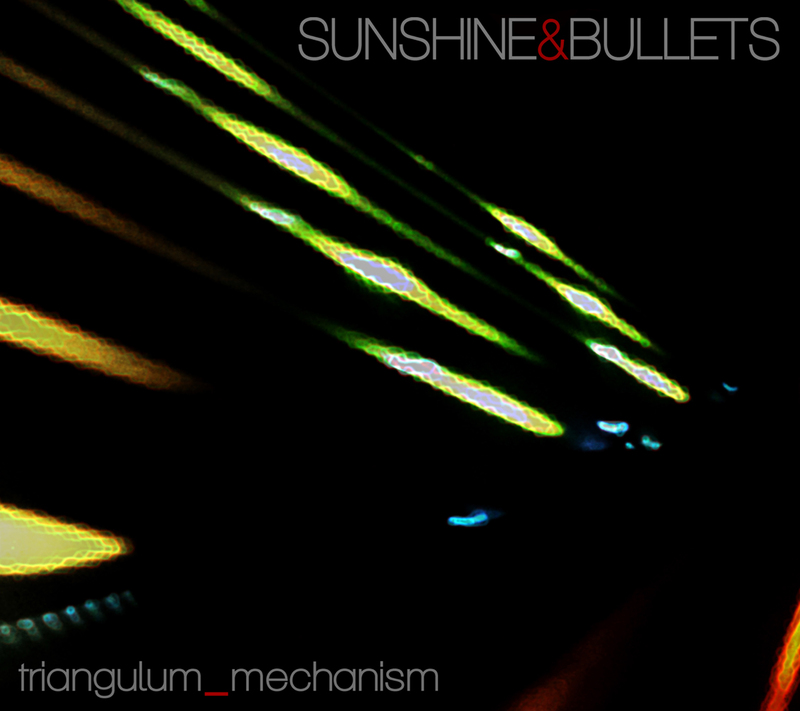 “Triangulum Mechanism” is a collection of 20 new studio tracks; six of which were pre-released as (demo) singles over the last year while the band finished recording the new album. “Triangulum Mechanism” features “Go” a single that was voted “Song of the Year” on the Rock Solid Pressure Show. The physical version of “Triangulum Mechanism” will feature 20 tracks four of which are short interludes and will not be available via the digital release, the album ends with an instrumental track that was improvised in the studio and is a fan favorite at their shows. The band has not only been featured on, but also appeared on “Bubba the Love Sponge Show” who said “I find your band one of the most brilliant bands I’ve heard in 28 years of radio.” Bubba the Love Sponge Show is a syndicated radio show on the east coast. Some of the tracks are already getting spins on both FM and international internet radio. The album goes on presale Friday March 21st at a special price via Melodic Revolution Records.